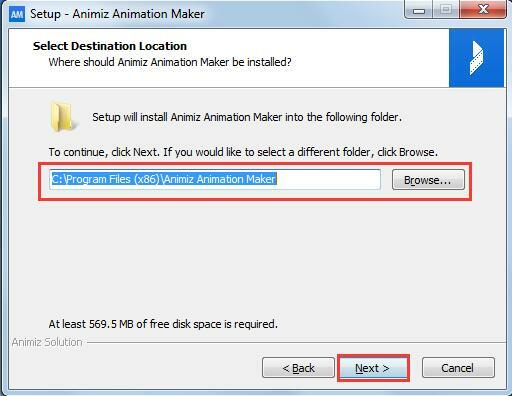 1.Double – click the downloaded Animiz and begin to install. 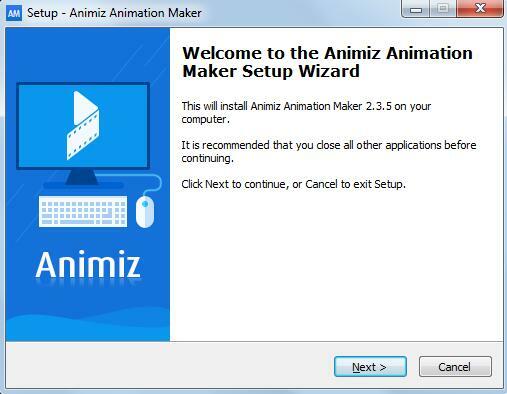 2.“Welcome to the Animiz Animation Maker” and click next. 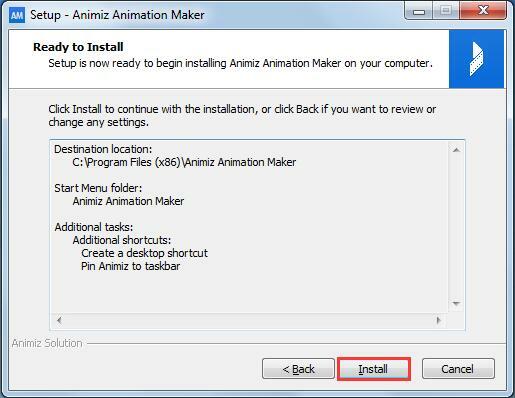 3.A window pops up with a License Agreement. 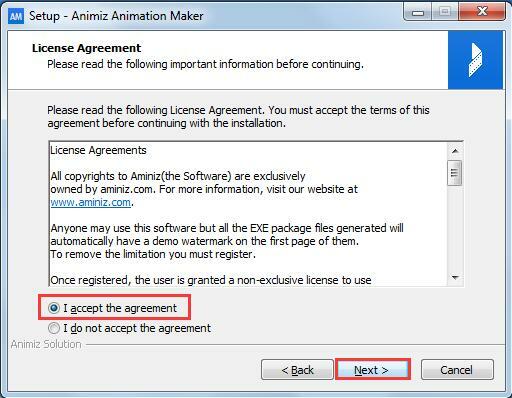 Choose “I accept the agreement” and click “Next”. 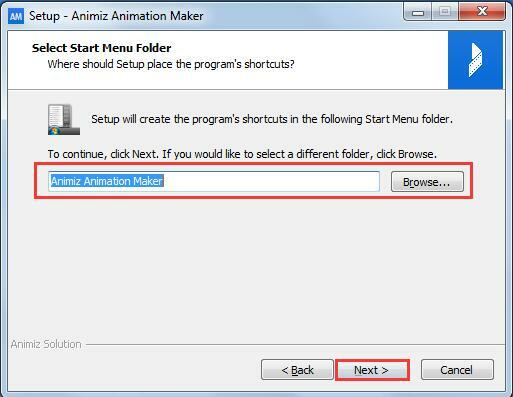 5.“Select Start Menu Folder" and click “Next”. 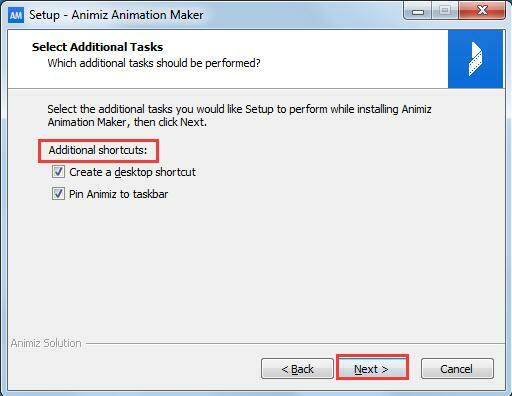 6.In the next popup window, select the “Additional Tasks” including Create a desktop shortcut or Pin Animiz to taskbar. 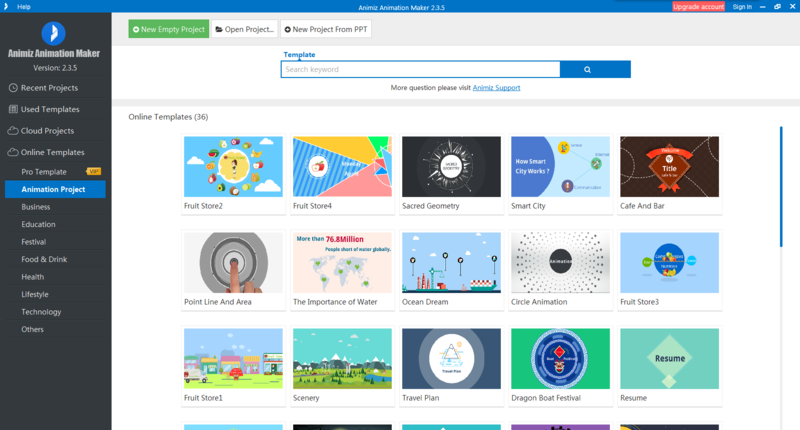 Then click “Next”. 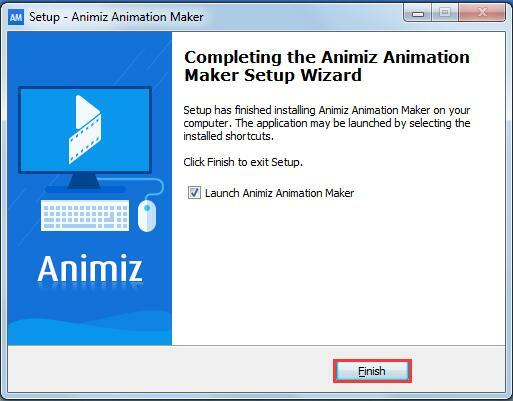 9.After installing, you can choose to launch Animiz immediately. 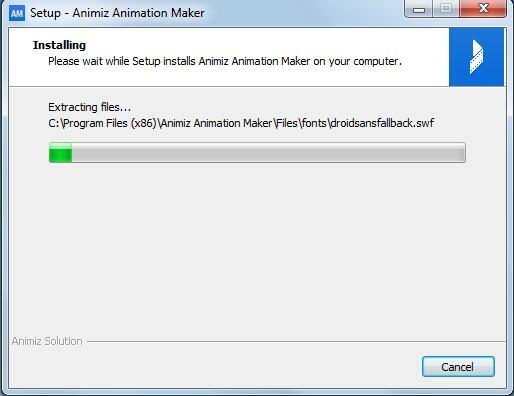 Next：How to uninstall Animiz ?